So I am here today with my First Official Outfit Post…yeah J. Unofficial one I did on Karvachauth, in traditional attire – Red Suit. 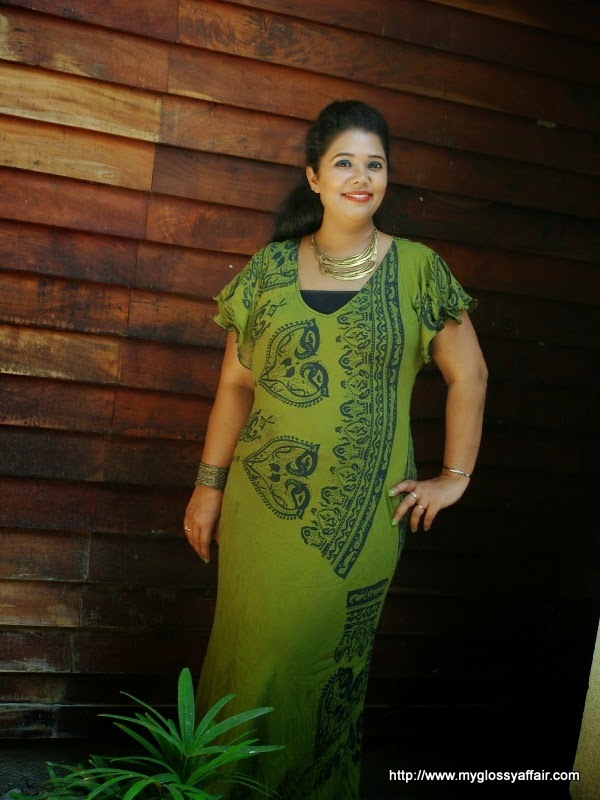 I love this maxi dress of mine in lovely green shade with blue print on it. Tell you the truth, I got this one for me when I was preggo ;)….hehehe. Why? So that, I can hide out everything in a single piece accompanied with a stole, as I found it too uncomfortable to wear 2 piece dresses whether denims, trousers, leggings or anything in my last 3 months. I wanted some respite from any sort of belt on my huge tummy. I couldn’t bear anything. This dress gave me much wanted relief from all problems. Such a soft georgette, a perfect summery dress. Now that my son is 2.5 yr old, I am again in a condition to wear this and get photographed and I enjoyed this photoshoot with my darling Ritcha a lot J. Place – Havelock, Andamans. A paradise on earth. 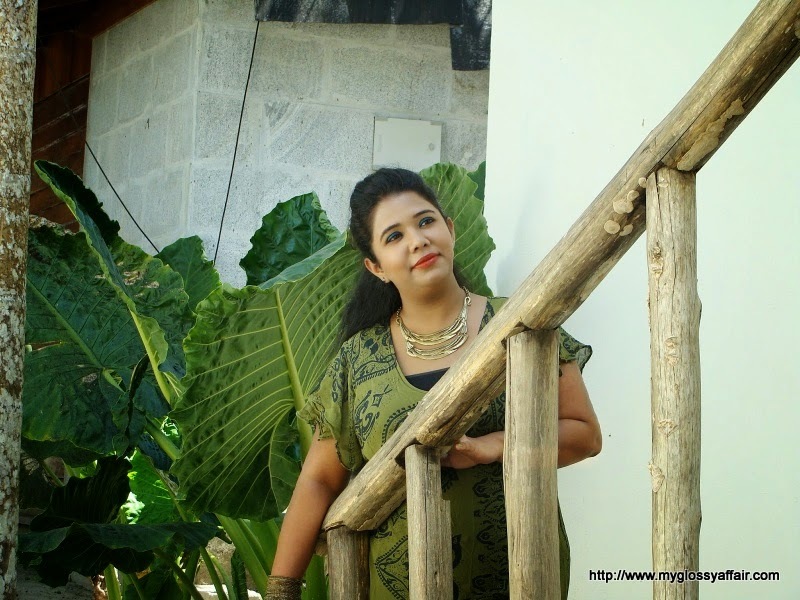 May be the place was so beautiful that I became more confident and opted for an outfit post. A beautiful morning, we (me and Ritcha) woke up early, as already planned for the shoot ;), as my son was still sleeping then and we could go on clicking without the need of watching over him. You see the sunlight early morning because Havelock is an island and sun rises very early in sea areas. It was early March and here in Delhi, this much sun rose by around 7:30-8:00 am while in Havelock, its only 6:30 am J. Yeah, we did a shoot this early :P.
Our resort was also very beautiful, serene surroundings, peace, no noise, near to beach and wonderful staff who never stare at you. We never felt it was in India ;). Ritcha clicked n clicked n clicked. 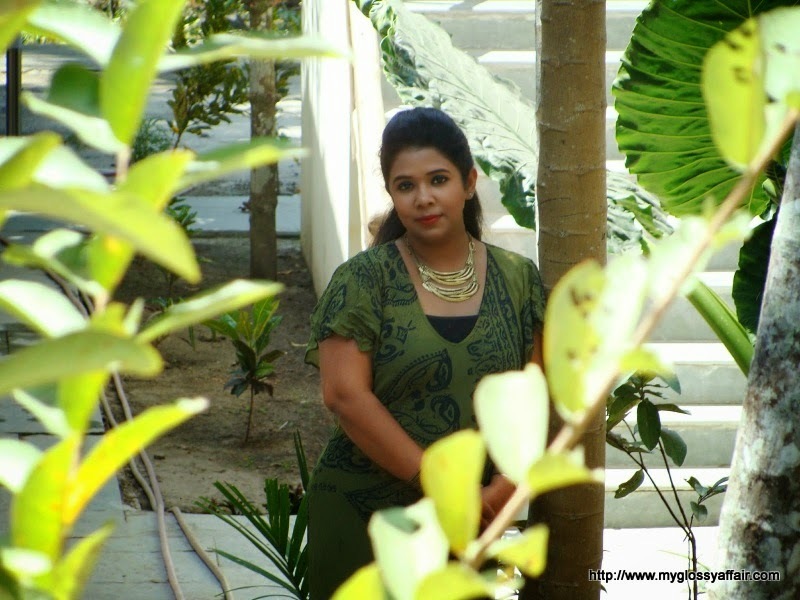 Then we saw a man picking up something from near our cottage and we went nearby and voila….what we see…..a snake!! Such a pretty color! Perfect for the beach. Charu you look stunning and beautiful you should do more outfits love the dress great color on you and your family is lovely your baby too cute mini male model. You look so beautiful in this lovely dress, the green hue is terrific on you! I appreciate your kind words, Have an awesome weekend doll! Oh wow this color on you is stunning!! that green dress looks amazing on you! i love the print and your necklace. I love the last three pictures so much of love and beauty in them! Coming to the dress it completely suits you. And i like the way your hair is in a puff. You have creating a striking face make up with bluish green eye shadow and the lip stick! 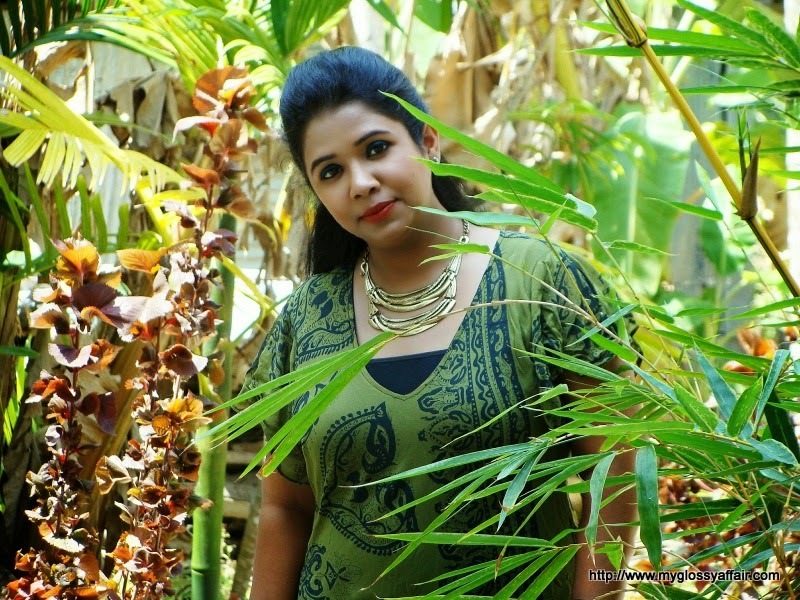 Charu, I am def looking forward to more OOTDs! Green is your color dear! You look beautiful! I love this dress on you…you look so beautiful and your son is so sweet. Thank you so much for your concern and checking up on me…it means a lot! I've been fine…I've just been in Toronto for the last week for my sisters wedding. I will bacck to my regular schedule this week. You baby boy is so cute!!!! Amazing maxidress and lovely pics!!! Amazing color! I love this dress! Happy Sunday! 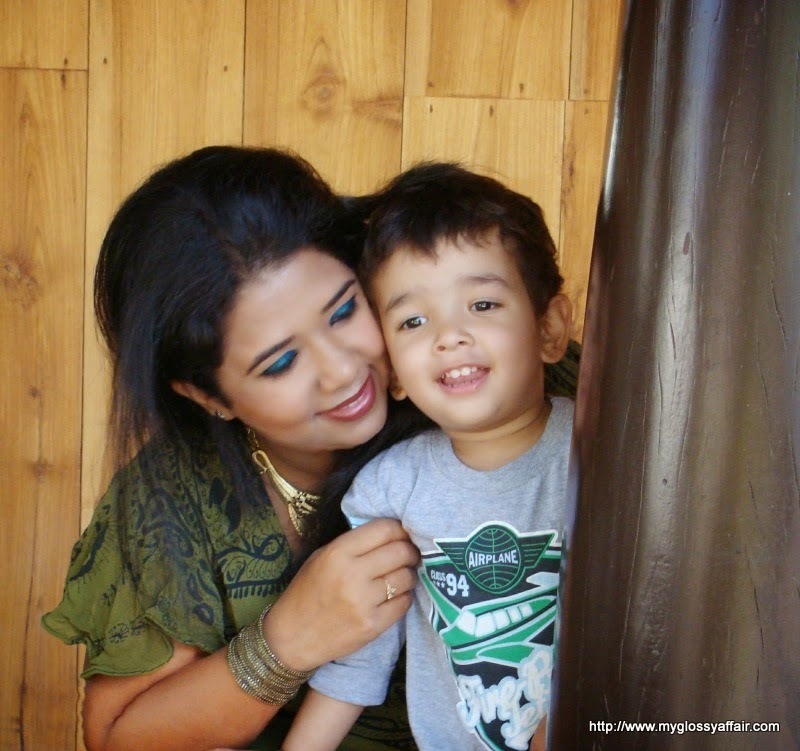 A beautiful post with a beautiful family…loved the dress.and your son is very sweet. You are looking gorgeous Charu.. your son is very cute ! I would love for us to follow each other! Tell me once you've followed me. Ill follow back asap! Thanks. I love the dress 🙂 You have a cute family.. God bless! hi darling, you are very pretty, nice scenery. lovely oufit, looks so fresh and comfy! Really nice dress, so exoctic and elegant at the same time. You look so pretty. Very good photos, Charu! And you look so beautiful in this olive green dress 🙂 Your makeup is so beautiful too! Very Chic the dress is so pretty, the green is so Summer and you look fabulous. Charu..You look so very adorable nd your kiddo is super cute! this is a nice a dress! followed you via gfc! 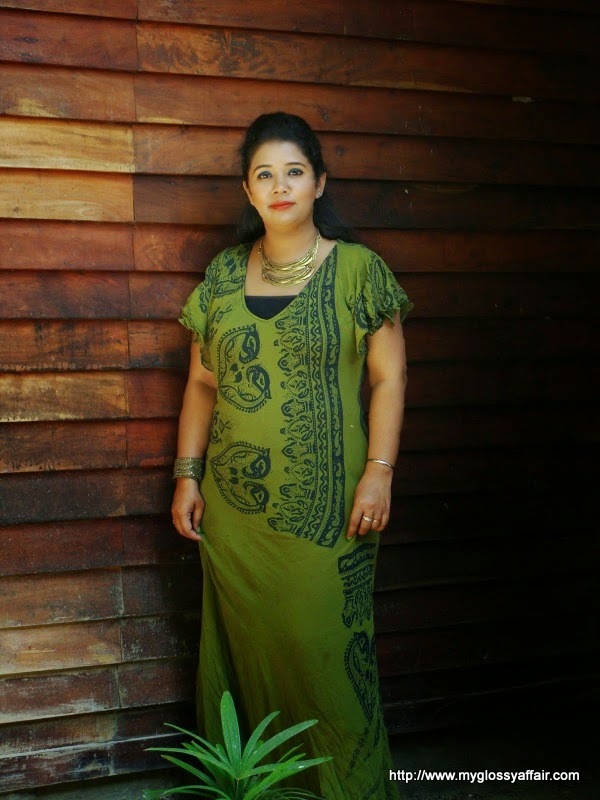 That maxi green dress is very pretty and it does look like it would be a comfortable wear if one were preggie. … or even if one were not. I love this outfit!! your baby is so sweet!